Are you tired of getting lots of spam comments and registrations on your WordPress blog? Well, you are not alone, everyone faces the same issue more or less. Spam comments are generated by spam bots that fill the comment section with spammy links. These type of links don’t only spam your comment area but also hurt your SEO. 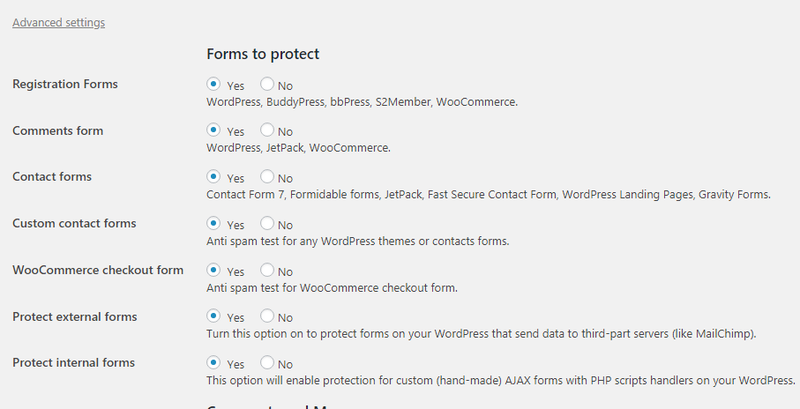 Luckily, there are antispam plugins available for WordPress that can block spam comments, registrations and prevent bots from accessing your website. However, most of the antispam plugins can only do a certain task, for example, blocking spam comments or stopping spam registrations etc. If you want to block spam bots in different areas like comments, registration page, contact form, subscription form etc. you need to install multiple plugins for each issue, which is a great headache and most of all they can slow down your website. So here comes CleanTalk, the all-in-one antispam plugin for WordPress. In this tutorial, I will share how to block spam comments and registration bots in WordPress using CleanTalk plugin. CleanTalk is one of the best spam protection plugins for WordPress that blocks all the spam comments, registrations, subscriptions and prevents spammy bots from engaging your site. 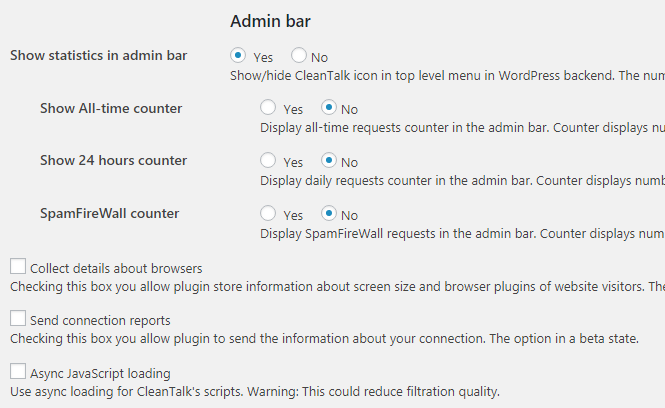 Unlike other WordPress anti-spam plugins, CleanTalk doesn’t require any setup. It works out of the box but you can customize the settings. One of the best features of this plugin is that it doesn’t require users to complete Captcha, quizzes, math question or image match to leave a comment or register on your site. 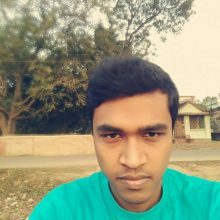 CleanTalk works great with popular WordPress cache plugins like W3 Total Cache, WP Fastest Cache, WP Super Cache, WP-Rocket etc. You can also block comments containing “stop words” to increase spam protection and messages. This plugin has multiple spambot filtration layers and it only blocks spambots. CleanTalk claims that they provide the best spam protection service for websites and their spam filtration process is highly positive(99.9% positive results). First, install and activate the CleanTalk plugin from WordPress plugin gallery. After activating the plugin, go to Settings> Anti-Spam by CleanTalk. It will ask you to enter the access key. The access key is the activation code for CleanTalk. The plugin costs $8 per year, but you can get a trial for 7 days. Click on the Get access key automatically button. By doing so, the plugin will automatically create an account and generate an Access key for activating this plugin. You will also receive an email containing your CleanTalk username, password and access key. If you want to get the access key manually, click on the Get access key manually and it will take you to the CleanTalk’s sign up page. After getting the Access key, click on Save changes to store the settings. From now, your registration forms, comments forms, contact forms, custom contact forms is protected by Cleantalk. Spam FireWall: CleanTalk also provides website firewall that helps to filter spambots before they access your website. It also reduces hosting CPU usage and improves pages load time. CleanTalk Advanced settings: By default, CleanTalk uses a setting which works well. If you want to modify the settings, click on Advanced settings. Here’re the plugin settings below that I am using. When you finished modifying the plugin settings, click on Save changes to store the new changes. That’s it. The setup is done. You can see spam log statistics from the WordPress admin panel. For more detailed spam logs, login to your CleanTalk account. From the panel, you can see how many requests are marked as spam or approved. For detailed information, click on the Log. From the log, you can check whether this is a spam or not. You can also mark them as not spam and add them to personal black and white lists. This is from where you can manage your personal black & white lists, restricted words, ban a country, blacklist a language, and many more. First, click on the Personal Lists from the CleanTalk admin panel. Then click on Add new filter and select the filter from the drop-down option you want to enable. Now click on the Blacklist button to save the new settings. That’s it. From now the plugin will block all the spam comments, registrations, subscriptions etc. and you can see improvement on your SEO. Pricing: The plugin costs $8/ year. There are different ways spammers can ruin your website by using the comment, registration, contact forms and making you more busy with unproductive works. If you are getting lots of spam comments, registrations on your WordPress blog, it becomes very hard to combat the spams and understand which one is real and which one is spam. That’s why you should use an anti-spam plugin for your WordPress site. 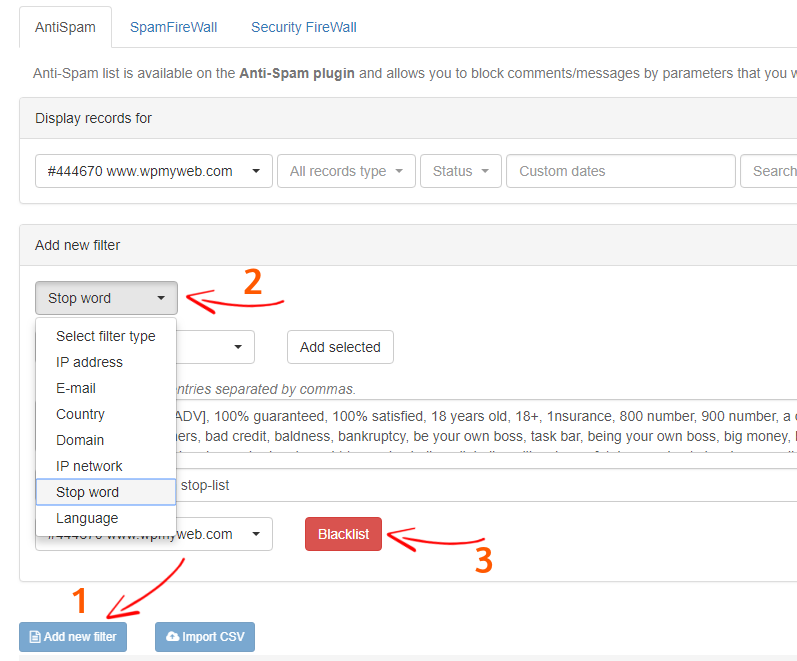 An antispam plugin automatically blocks spam comments, registrations and prevent spambots from accessing your website. This saves your time and you can focus on your work. 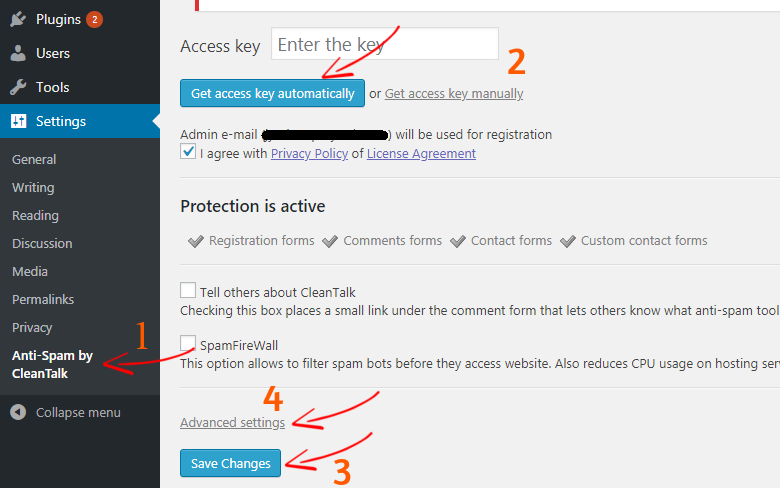 In this article, I shared how you can block spam comments and registration bots in WordPress using CleanTalk antispam plugin. I also showed how to properly configure the plugin. If you find this tutorial helpful, do share it with your friends. If you have any question in mind, do let us know in the comment section.